Property developers and Real Estate agents. 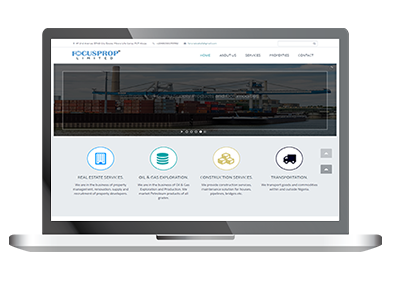 Focus Prop Ltd is a real estate agency. Their core services are buying and selling of homes and properties, renting and leasing of properties. 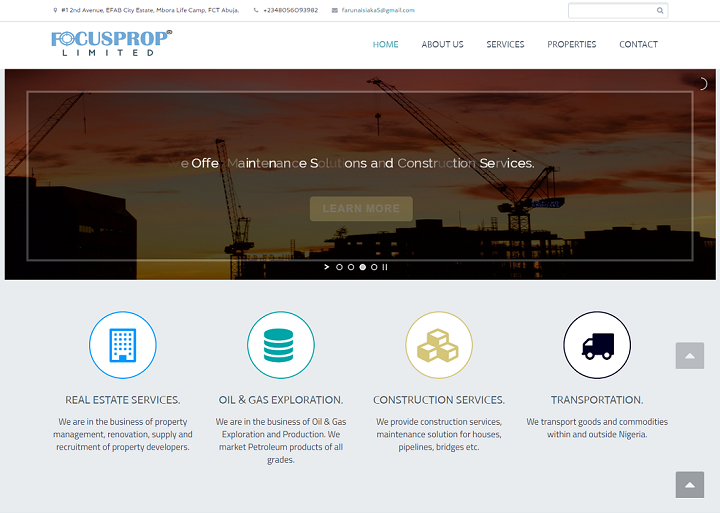 They are also in the construction business as well as oil and gas exploration. 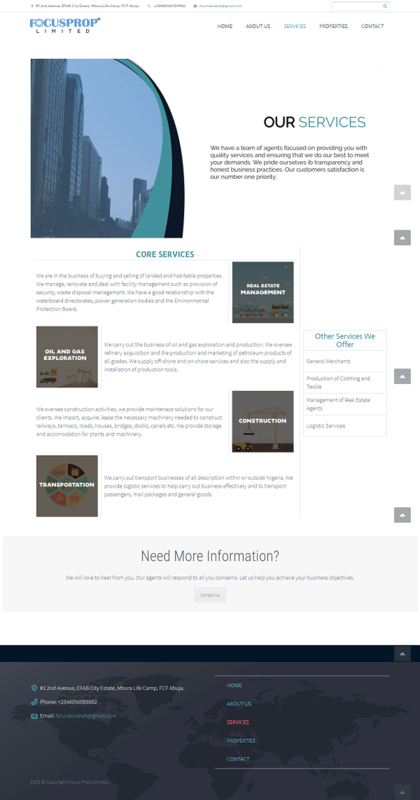 We developed a website to display their core services as well as to provide valuable information to their potential clients. A key feature we added was an interactive 'Properties' page. 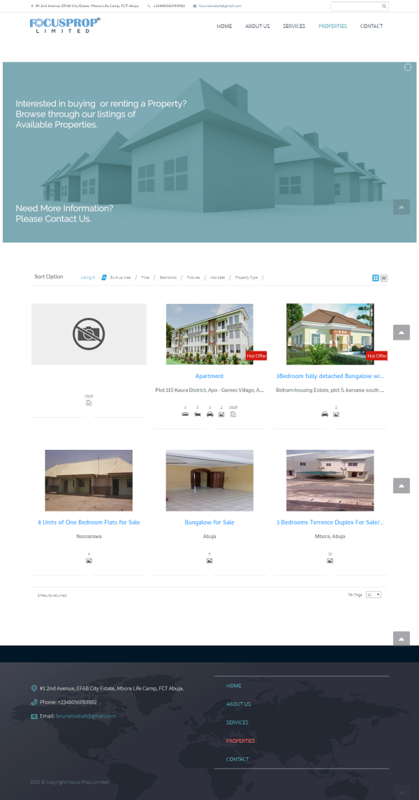 It was important to our client that their website visitors must be able to view the properties available and the features of the properties must also be displayed. We successfully integrated an interactive page where visitors can view details of properties they are interested in. Give your online presence a facelift. Your corporate brand is important. Let us help you take it to the next level.